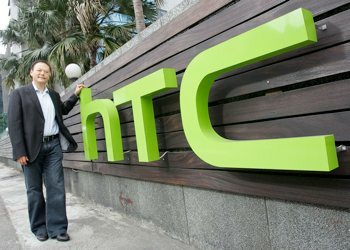 Taiwanese phone manufacturer HTC is said to be re-evaluating whether to proceed with the intended $300 million purchase of S3 Graphics after the company suffered a defeat in its ITC patent dispute against Apple earlier this week. Investors were concerned initially about the S3 acquisition because HTC's chairperson, Cher Wang, owned a stake in the business. Citigroup also questioned the deal, saying HTC could have just licensed the patents it needed to gain some leverage over Apple. The financial conglomerate later downgraded HTC's stock investment rating and prompted a drop in the company's stock value. "HTC had decided to acquire S3 Graphics based on the strong belief that evidences of patent infringement from Apple were clear and ITC ruled in its initial determination that Apple had infringed two patents from S3. In light of recent development, HTC will work closely in good faith with VIA Technologies and WTI Investment International to conduct holistic re-evaluation of the S3 Graphics acquisition," they said in a statement, which did little to hide the Taiwanese firm's disappointment. HTC went on to say they had invested considerable time and effort in preparing for the complicated legal proceedings, which included a "complete legal investigation and comprehensive report on patent and price evaluations." Given that they lost, it is not surprising they wish to re-value the company accordingly. In a world of ever-increasing patent "wars" it is understandable why they would be interested in the acquisition of S3 Graphics, and thus the additional protection of its patents to boost its intellectual property portfolio and better protect itself against any possible future patent lawsuits. Adding to its woes, the phone manufacturer has announced it expects to ship fewer handsets in the fourth quarter, with revised figures now forecasting sales to be the same as its fourth quarter last year. Global economy and market competition were cited as the main reasons for slower than expected sales. HTC recently hit the news when information and pictures of its upcoming Zeta handset were revealed, with the rumoured specifications said to include a Qualcomm Snapdragon APQ8064 2.5GHz quad-core processor.